Whether it’s a run in the park or a barbeque lunch with family and friends, you’re stylishly dressed for any sport/casual occasion in our Synchronize Tee. The Canterbury Synchronize Tee helps you achieve an effortlessly stylish look with its flattering contrast layered design. 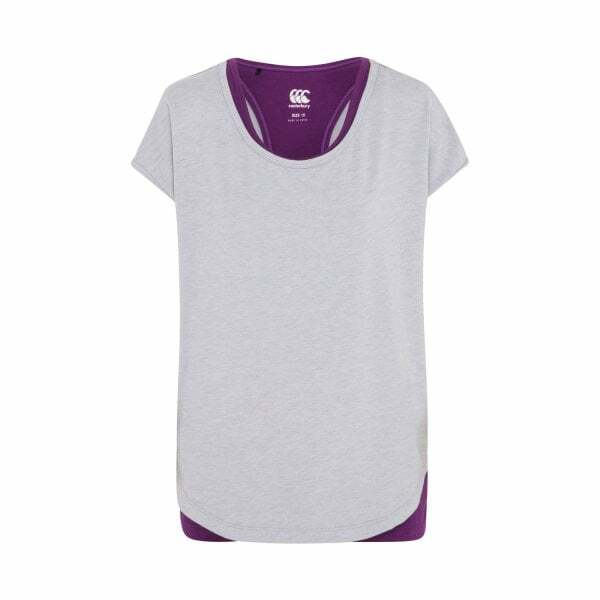 It features a contrasting internal singlet attached to an outer relaxed fit tee for an on-trend, easy to wear casual summer look. It’s built from a lightweight breathable Polyester and Rayon Single ersey blend that will keep you cool and fresh all day long. Finished with the iconic CCC branding and reflective logo, you’ll be instantly recognised as part of Canterbury’s dedicated family of sporting fans and fitness enthusiasts, whether you’re out for a casual weekend jog or meeting with friends for a coffee.